As usual stuff, very interesting plot line. Nearly after 30 years I am reading Rajesh Kumar novels, thanks to Amazon prime. The protagonist Vivek takes up the murder case of D.I.G. Palraj and I.A.S. Officer Ravinder by snake bite. Same time he receives sms from the killer which fuels the plot line, the real killer is revealed in the climax. An interesting read. Thanks to Net galley for providing me a with a copy of Famous Assassinations by the author Sarah Herman. The author provides information of some of the assassinations of most notable figures in history. Some we know and most we don't. The author Sarah Herman has categorised killings of notoriety from earliest written records to the present, she also given backstory for the assassinations. The common and mostly known by us are the killing of Emperors/kings to make room for others to the throne, murdering religious leaders for political mileage. But in this book we will find many unknown instances which has the same base. The book is pretty neat in providing overview and this will help people who needed further study can use this as a spring board. The author have given out some facts that could relate that the people of Sumeria are proto Dravidians and some of the Sumerians settled in Dilmun which is termed as a heaven in Sumerian cuneiforms. The author Prabhakaran say that the city Dilmun is Tamil Nadu or South India. The book made me to buy other books related to this topic of human evolution and also about Indus Valley Civilization. The author has substantiated some facts that there is no submerged country Lemuria which is believed to have existed and was near Kanyakumari. As there is no archaeological evidence till date to disprove his idea. He has given some examples of names from Sumeria and I found other similar words to early Tamil and one such is a place called Mari. A good book to start for those having much interest in Archaeology and human evolution. 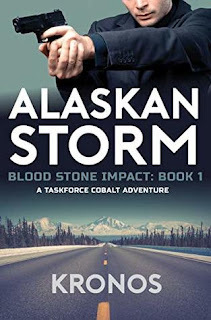 I was awestruck by the authors narration of action scenes. Ananthsimha's writing is joy to read, The novel has 134 pages can be read in one sitting but I feel reading it slowly might help us to go through the intense action he has put down on the paper. It's a trilogy and the author has kept us waiting to read and anticipate what will be in the sequel. The subject the author has chosen is some what real and I have had a little chat with him on that subject. The author who is now in early 20s has a bright future in writing action novels, his knowledge about the weapons, types of vehicles used in combat and terminologies are awesome. Kudos Ananthsimha for your success in your first novel. Yesterday I went to the Book exhibition, it had 852 stalls nearly half for Tamil language. I spent two and half hours and purchased five books and two comics. I added another three Clive Cussler books of to my library. (1) The Sea Hunters (Non Fiction) took me 2 years to get hold of this book. The Eagle Has Flown –spectacular sequel to the The Eagle Has Landed. March 1906, Rolls-Royce Limited had put all their money, and that of their investors into this improved six cylinder engine. Every last penny had gone into the design of that, as well as a chassis meant to withstand the harsh country roads. When the world seemed to laugh at them, saying it couldn't be done, they'd persevered. And now they were on the verge of accomplishing the impossible. Clive Cussler sitting on the Ahrens Fox Pumper Fire Engine. Did they, yes they did and the car named Grey Ghost was stolen by one of his employees. Detective Isaac Bell finds out the stolen legendary car. After some decades the owner of Grey Ghost now tries to sell the car and again the car vanishes and the theft was blamed on Albert Payton. Sam and Remi Fargo's who are related to the Paytons take up the case and finds out the Grey Ghost and a hidden treasure. A different kind of adventure story with family sentiments. The novel has a love story of Jonathan Payton and Miss Lydia Atwater which comes in way of journal, an interesting and creative way of storytelling used by the author. The book too has a hostage situation and how cleverly the Fargo's handle. The adventures of Fargo's are top notch, the escapades are many and I liked their break out from a burning warehouse using Ahrens Fox pumper fire engine (the one shown in the book cover). The couple faces all kinds of hurdles even their accounts get frozen, their movement restricted and overcoming these dire situations are thrilling to read. I want to quote one instance involving Remi and an annoying lady in the ticket counter. Train to Calais was set to leave than five minutes. The woman in front of her was at the window, busy asking questions about what to do with her luggage once she was on the train. Remi watched the clock ticking. Worried, she leaned forward and said, "About how much longer will you be? I'm about to miss my train." The woman looked back at her, an annoyed expression on her face. "If you don't mind, it is my turn." I apologize, Remi said, clasping her hands together. I just found out my father's been taken to the hospital. He might not make it. "And his dog is locked in the house with no one to take care of him." Why didn't you say so? The woman moved aside, allowing Remi to pass. After buying the ticket, the lady says "I hope your dog is okay!" 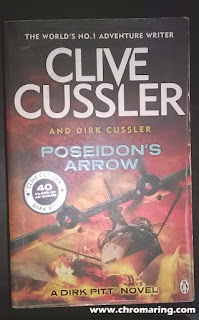 Kudos Mr.Cussler and Robin Burcell for succeeding in making yet another action, adventure reading for the fans.